Last week, Toca Boca launched a Holiday contest on their Facebook Page where you can win early access to their upcoming titles, Toca Boca tees and more. Share a snapshot of how your favorite Toca Boca app is used in your family! Are the kids playing on their own? Taking turns? Teaching each other how to play? Are the parents involved in the play somehow? Is grandma or grandpa maybe using it too? The family cat even? Your imagination sets the limits! The most creative/fun/cute/unexpected photo wins the Grand Prize. 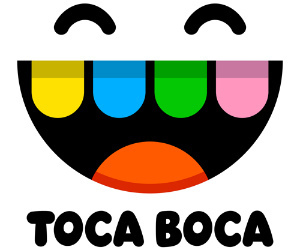 Toca Boca will also select 4 runner-up winners. The contest is running now and ends on January 08, 2012 @ 11:59 pm (CET). Entries will be judged (on creativity) from Jan 9 – Jan 15 and the winner will be selected on Jan 16th. To visit Toca Boca’s Facebook page and enter the contest, click here.